A stroke of good fortune passed through Pana this week. 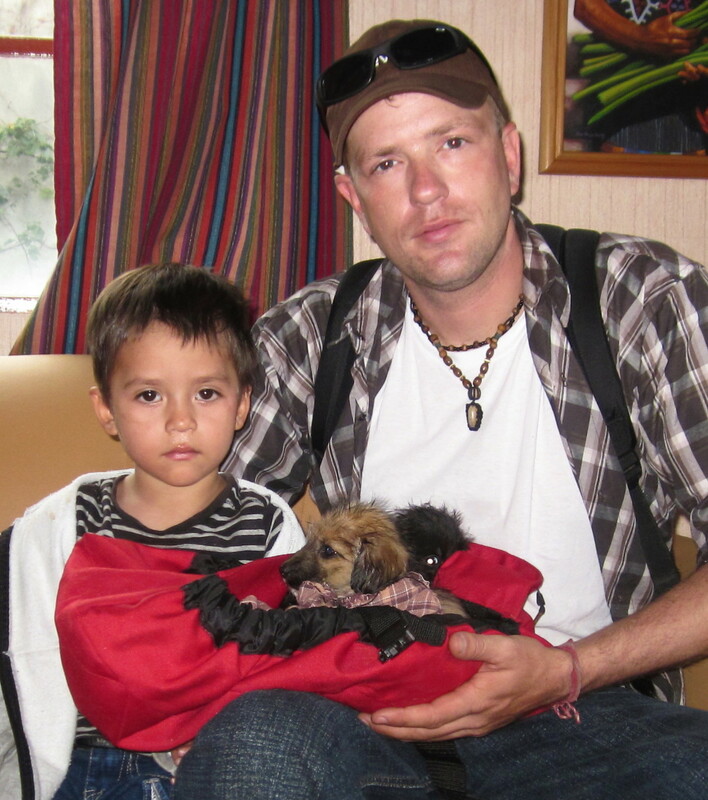 2 young boys and 2 young pups were united through an Ayuda adoption! Michael and his father Mike called to say they were in town and looking for puppy companionship to take home to Mom and Michael’s younger brother. They were escorted to the home of Julia C. who’s little female Chispa was finished nursing her litter of 5. What fantastic timing! Michael’s eyes lit up when he saw the gang. After a few minutes of playtime, vaccinations and a little food, Michael and Mike had fallen for their 2 little boys. Official names still pending, the first report post-adoption is all positive. Happiness abounds! Next postThank you West Salem Vet Clinic!